Support to residents in west London who are trying to secure ownership of two housing estates by enacting a Right to Transfer mechanism. If successful in securing ownership, the community group will build more affordable homes and improve existing affordable housing stock. To break down barriers and enable community groups to use the Right to Transfer mechanism, ultimately so that other affordable homes across England and Wales may also be protected. 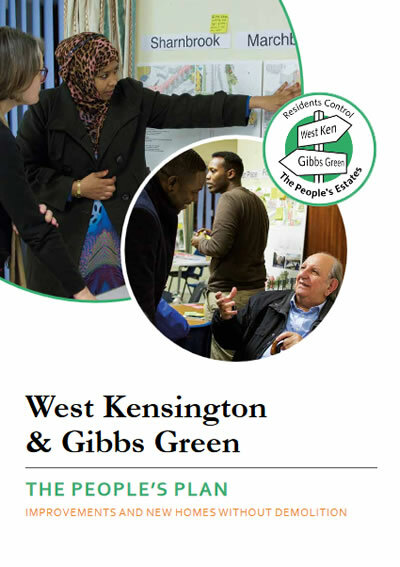 If West Kensington & Gibbs Green Community Homes (WKGGCH) Right to Transfer is successful in transferring ownership to the community, this will be the first time this has taken place and will demonstrate to other community groups that this is a viable option to obtain community ownership. More ideas will exist on how to protect and increase the supply of decent, affordable homes. Two adjacent housing estates – West Kensington and Gibbs Green – comprise of 760 homes and these are mainly occupied by social housing tenants. The homes have been under threat of purchase and demolition, as part of the wider Earl’s Court redevelopment. The residents of these estates have formed WKGGCH in a fight to protect their homes and to obtain community-ownership. WKGGCH is taking the case – the first of its kind – to the Secretary of State for Department of Communities and Local Government for a decision in the hope of preserving this well-functioning community, and ultimately creating additional affordable housing. It also plans to preserve and manage the existing affordable rented accommodation for local people and others in need of low-cost housing. The mechanism WKGGCH is pursing to achieve community ownership is known as the Right to Transfer process, whereby local authorities must co-operate with a group of its tenants who wish to explore the benefits of a change of landlord. If WKGGCH is successful, this would pave the way for council estate communities across England and Wales to take charge of their neighbourhoods through the Right to Transfer, using this tried and test community-based ownership model. This would lead to both the preservation and expansion of affordable homes. Influencing the Mayor of London’s London Plan review to support a community-led approach for the Earl’s Court redevelopment, which seeks to realise at least 50% affordable housing in any new development. Instigating parliamentary debate and generating political support for legislative measures that will enable not just WKGGCH, but also other communities, to facilitate sustainable development through easier access to land ownership through a new legislative model, the ‘community ownership legislative initiative’. WKGGCH has also received funding from Esmee Fairbairn and Tudor Trust for this work.